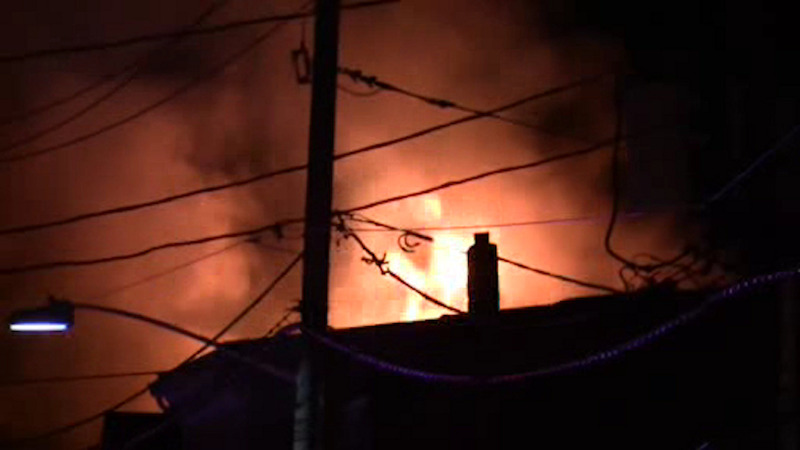 WEST ORANGE, New Jersey (WABC) -- A family in New Jersey is without their home Monday night, after a three-alarm fire burned through their house in West Orange. The flames broke out inside the three-story home around 6 p.m. The family got out safely, and there are no reports of injuries.